After all, we spend one-third of our lives sleeping. Your highest priority should be your mattress. Find one that’s the right firmness for your optimal sleep, along with the perfect pillows, and the most comfortable sheets you can afford. Most people need a dark room to get the best shut-eye, so be sure you have fabulous and functional window treatments, perhaps including blackout shades, to keep out any outdoor light or even a bright moon. 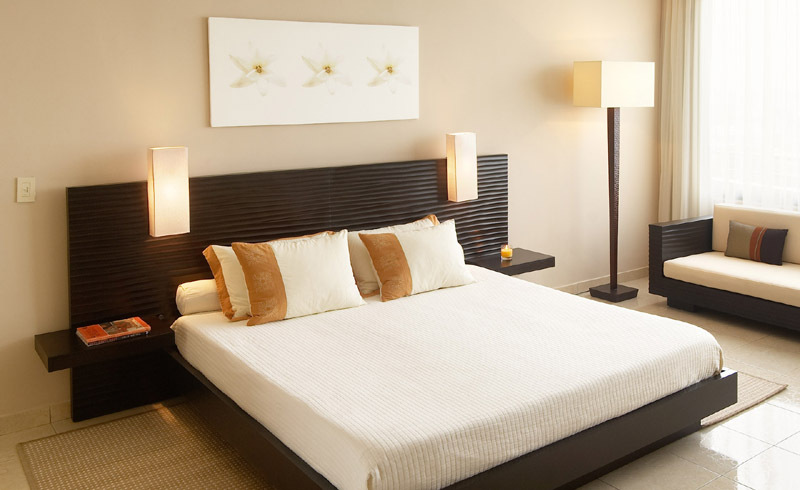 Equally important is a layered lighting plan that will give you the right amount of light when you need it. 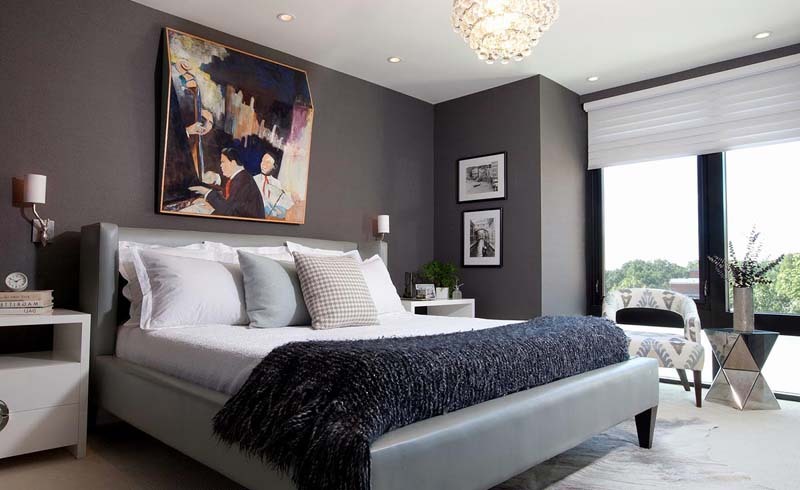 Consider bedside lamps or swing-arm sconces for reading in bed paired with an overhead light on a dimmer. Or keep your warmth. The point is to be sure that you’re the right temperature to drift off to sleep. I like to change out my blankets depending on the time of year, with cotton in the summer and wool, cashmere, or a fluffy down comforter in the winter. We also have Control4 technology, so we can adjust the thermostat right from our phones without even getting out of our warm and cozy bed. I love to tell the story about how I experimented with color when I was just starting out in design and painted my bedroom bright red. I had the worst sleep of my life until I repainted. Color really does affect our moods. Use relaxing hues like pale gray, sky blue, or sea green. Your blood pressure will thank you. You can’t get a good night’s sleep with the phone right next to your head or the TV on while you’re trying to doze off. These devices emit blue light that interferes with your circadian rhythm. Tuck your electronics out of sight. Also think about small touches that deliver big impact, like fresh flowers or a great-smelling candle that will help you relax.